Today’s topic in Satyameva Jayate is about “Depression”. We all feel depressed atleast once in our life time.Reason can be serious or silly, but its important that we should come out of it. Else we may end up in loosing our life which is great loss for our self as well as for our family. Friends if anytime you find that you are going into depression immediately speak about it with your family and friends. Consult doctor and take proper medication. I have seen my friends loosing their lives due to depression… Their happy faces turned into pale. 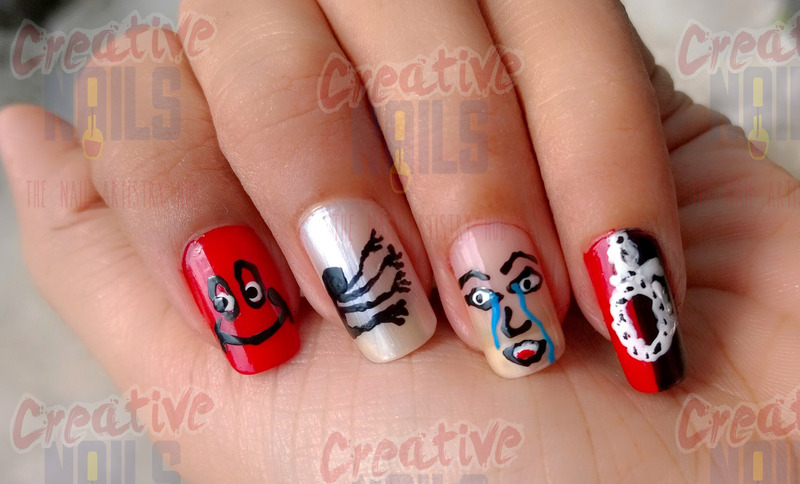 Today through “creative nails” I have tried depicting stages of depression on nails.